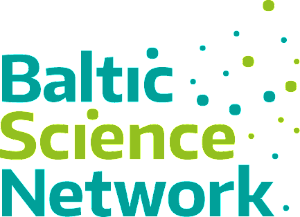 Programme and thematic overview is available on the Baltic Science Network website. Having in mind the findings of BSN’s explorative study “Scientific Excellence: Joint Potentials in the Baltic Sea Region”, BSN assembled three groups of external experts to discuss transnational cooperation in the research fields of Photon and Neutron Science, Life Sciences and Welfare State. 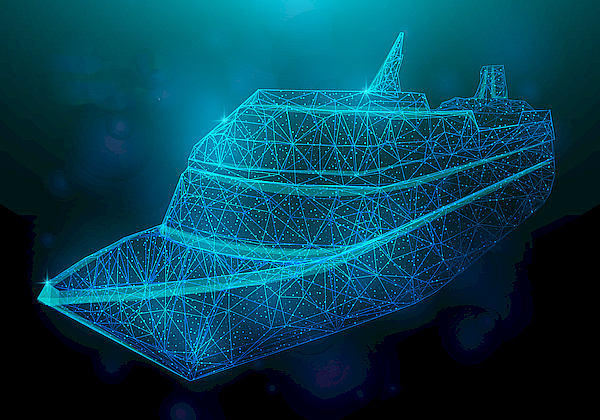 The recommendations of these groups are essential for formulating joint BSN policies to foster scientific excellence in the Baltic Sea Region (BSR). 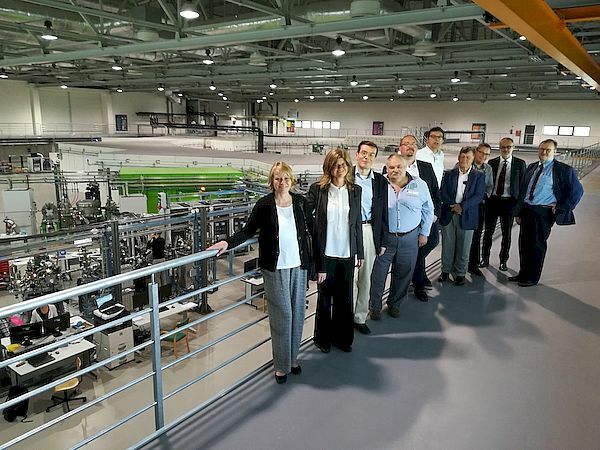 Hamburg, Krakow, Berlin: The Photon and Neutron Science Expert Group met twice over the summer, with the first meeting taking place at DESY in Hamburg and the second meeting taking place at SOLARIS in Kraków. The group is chaired by Frank Lehner, Head of International Cooperation at DESY. During the meetings, the current state of transnational cooperation in the field of Photon and Neutron Science in the BSR was discussed and the experts agreed on the findings and observations on the matter. During the final meeting an agreement will be made on the recommendations for cooperation in the BSR in the field of Research Infrastructures. The last gathering, which will take place in October 2018 in Berlin, will benefit from an engagement of national and EU level policy makers. 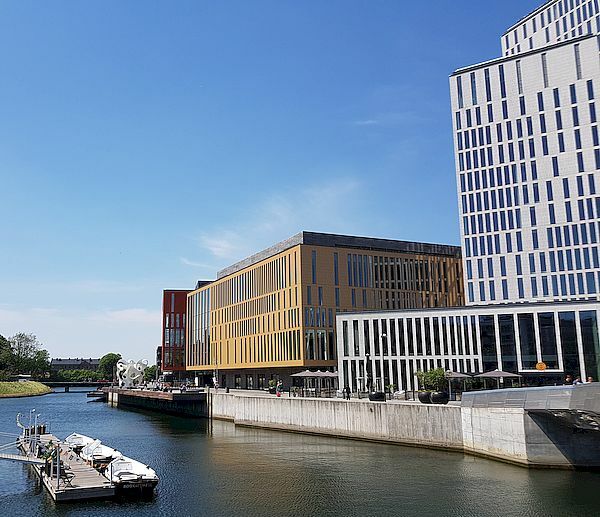 Tallinn, Riga, Stockholm: Welfare State Expert Group, chaired by Mi Ah Schøyen, Senior Researcher at the Oslo Metropolitan University, met in order to hone its suggestions for transnational cooperation. Overall discussions are captured in the Working Paper of the Welfare State Expert Group “Fostering Sustainable and Inclusive Labour Markets in the Baltic Sea Region: A Life Course Perspective”. Helsinki, Stockholm, Turku: The Life Sciences Expert Group met four times to create a joint strategy for Life Sciences in the Baltic Sea Region. The Expert Group is chaired by Professor Jyrki Heino from the University of Turku. Experts jointly identified and discussed the areas where increased cooperation or new initiatives can bring added value to the life sciences. The concluding meeting started with a seminar, where speakers were invited to talk about certain fields of the jointly prepared strategy. This key deliverable of the group will be finalised by the end of October 2018. 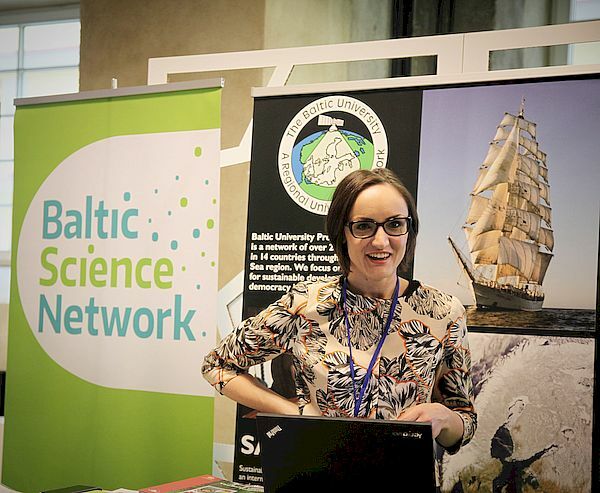 Brussels, 26 November 2018: “The Baltic Sea Region - A Science Powerhouse” A joint conference organised by Baltic Science Network and Baltic TRAM in cooperation with Science|Business. Registration for attendance is open. Rīga, 21 - 23 February 2019: Council of the Baltic Sea States (CBSS) High Level Event on Science, the Baltic Science Network Closing Conference and the CBSS Baltic Sea Science Day 2019. Registration will open in the upcoming weeks on the Baltic Science Network website. Baltic Science Network Position Paper “Tackling widening participation in R&I from the Baltic Sea Region perspective” presents a more concise and elaborate perspective, which is based on the earlier publications prepared in the framework of the Activity 5.2, namely, the Working Paper “Drivers for participation in transnational research cooperation and recommendations for increasing participation of low performing countries/regions in transnational research activities” presented last year during the Baltic Science Network Tallinn transnational seminar “New Tools for Spreading Excellence and Widening Participation in Research and Innovation Programmes”. The Position Paper was conveyed to the key entities engaged in the national and EU policy making, amongst others Carlos Moedas, European Commissioner for Research, Science and Innovation. The joint letter presented by Ms Katharina Fegebank, Second Mayor and Senator for Science, Research and Equalities of the Free and Hanseatic City of Hamburg, and Ms Mailis Reps, Estonian Minister of Education and Research, received an overall Commissioner´s appraisal of Baltic Science Network´s supported cooperation among EU Member States located in the Baltic Sea Region. 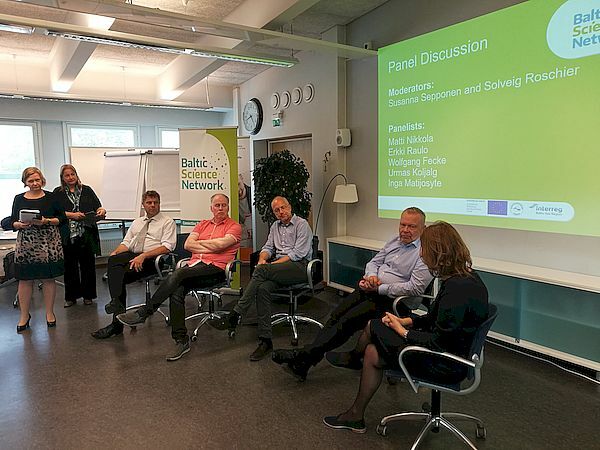 On this inspiring note, Baltic Science Network continues to elaborate its suggestions for further joint actions, of which several are based in the overall logic of the widening participation. 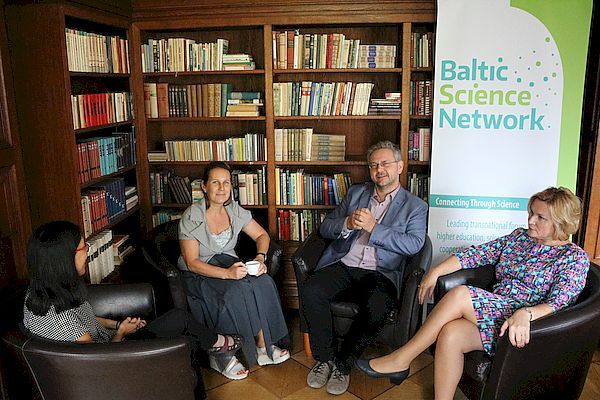 Thus, Baltic Science Network continues to build on its earlier demonstrated success to find common grounds among a considerable diversity of actors. Riga, 30 August 2018: Baltic Science Network members met in Riga with the representatives of the University of Latvia and the Latvian Presidency 2018-2019 of the Council of the Baltic Sea States (CBSS) in order to discuss the programme of the CBSS High Level Event on Science, the Baltic Science Network Closing Conference and the CBSS Baltic Sea Science Day 2019. The overall back-to-back combination of events will be taking place in February 2019 hosted by the Academic Centre of the University of Latvia. For more information please consult the Baltic Science Network website. Stockholm, 17 July 2018: Participants of the Rotary International Summer Camp were introduced to Baltic Science Network, it being one of the key projects dedicated to the research cooperation in the Baltic Sea Region. Baltic Science Network was highlighted as one of the strands of the EU Strategy for the Baltic Sea Region, since it bears a flagship status under the Policy Area Education, Research and Employability. For more information please consult the websites of Baltic Science Network, CBSS and EU Strategy for the Baltic Sea Region. Baltic Science Network has a prominent role in the Latvian CBSS Presidency. As expressed by the Latvian Ministry of Foreign Affairs: “Cooperation in education and science has a significant role in the CBSS cooperation. Latvia supports joint development of the fields of excellence in science and increasing mobility in higher education and research in the BSR. 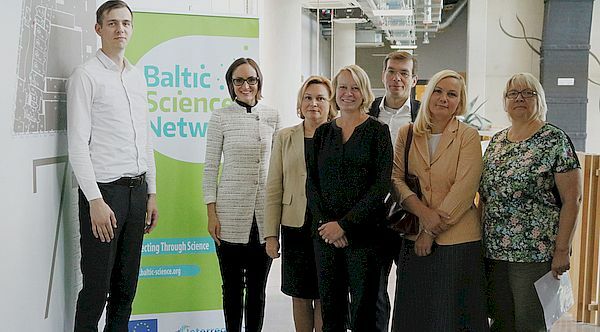 An effective instrument for the achievement of those goals is the “Baltic Science Network” project, aimed at balancing out the level of research excellence in the BSR, thereby positioning the BSR status as Europe’s most innovative region. Full outline of the Latvian CBSS Presidency is available on the websites of the Latvian Ministry of Foreign Affairs and CBSS. The Presidency brochure features Baltic Science Network events and is available online on the website of the CBSS. Kiel, 14 June 2018: Baltic Science Network commences its last project period with fruitful discussions on the forthcoming action plans. Among the first Baltic Sea Region areas covered by the Baltic Science Network, which have launched their in-depth discussions on the future policy measures for enhanced macro-regional cooperation, is Land of Schleswig-Holstein. 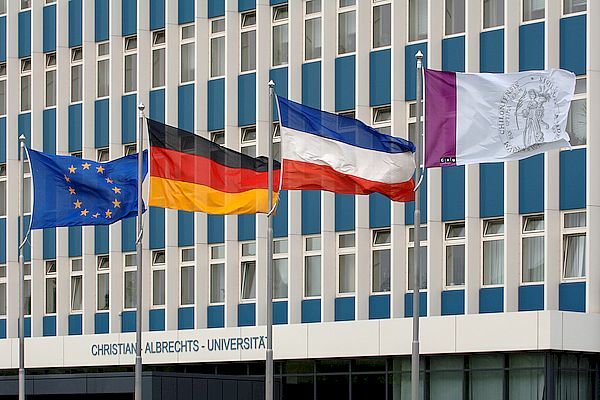 The Ministry of Education, Science and Culture (Land of Schleswig-Holstein) and Kiel University held consultations on the results achieved so far in the Baltic Science Network implementation. Hosts of the meeting invited researchers as well as representatives of the international offices from universities and research institutions based in Schleswig-Holstein to discuss cooperation within the Baltic Sea Region and what new opportunities the latest developments of Baltic Science Network offer to Schleswig-Holstein. For more information please consult the website of Baltic Science Network. St. Petersburg, 7 June 2018: Baltic Sea Region University Network (BSRUN) arranged its Annual Forum in St. Petersburg. The event was organised in cooperation with Saint Petersburg State University of Economics (UNECON). The Annual Forums are dedicated to certain current topic in the field of higher education. This year the topic was “Implementing University Strategy and Mobilities”. 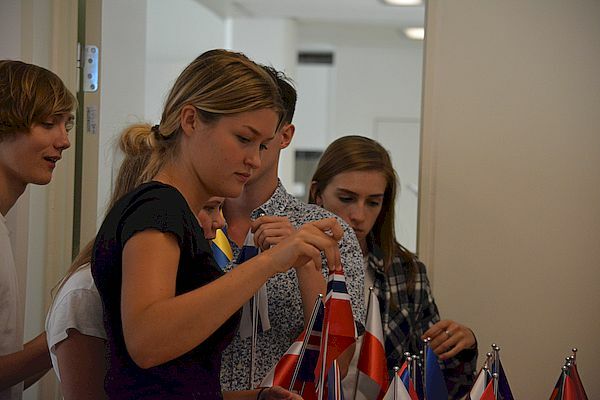 The event featured many good practices from universities within the Baltic Sea Region. These examples were presented from different perspectives: university strategies, management of international mobility and mobility programmes. For more information please consult the websites of Baltic Science Network and BSRUN. 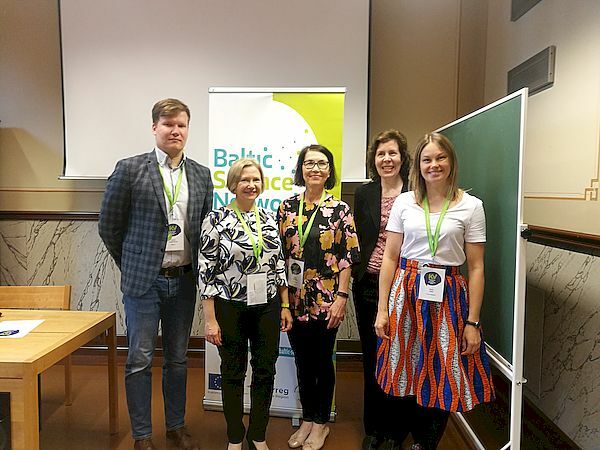 Tallinn, 5 June 2018: Baltic Science Network was presented to the attendants of the 9th Annual Forum of the EU Strategy for the Baltic Sea Region (EUSBSR) during the Policy Area Education, Research and Employability session at the Networking Village. 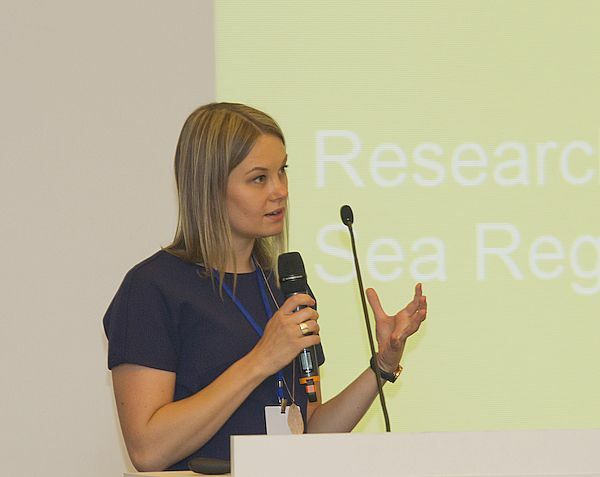 Macroregional stakeholders were introduced to the two upcoming events – conference “The Baltic Sea Region – A Science Powerhouse”, as well as the upcoming Council of the Baltic Sea States (CBSS) High-Level Meeting in February 2019, to which Baltic Science Network Final Conference will be an integral part. Malmö, 29 May 2018: Klaus von Lepel, Project Director, engaged in the Fehmarnbelt Days 2018 panel dedicated to the regional development during the session “Developing Common Life and Materials Science Region in the Fehmarnbelt Geography”. Hamburg´s Baltic Sea Region Strategy for Science and Research served as an initial point of reference for further elaboration on the transnational outreach and rationale behind the establishment of Baltic Science Network. Jyväskylä, 18 May 2018: The rationales of researcher mobility in neighbouring areas were discussed in a session “From Brain Drain to Brain Circulation” of the Spring Forum for International Affairs 2018. The session was chaired by Riitta Mustonen. Tadas Juknevičius presented 10 major challenges, which hamper a more active mobility of researchers in the Baltic Sea Region. Among the speakers of the session was Susanna Sepponen. She discussed alternative options on how to tackle these challenges. Johanna Hakala engaged in the discussion with a comment from the financer’s point of view. Baltic Science Network and Baltic TRAM conference “The Baltic Science Region – A Science Powerhouse” is promoted on the websites of Science|Business, CBSS, Statements of the governments in the Baltic Sea Region to the 26th BSPC Resolution, Baltic TRAM, European Cluster Collaboration Platform, ScanBalt, EU Strategy for the Baltic Sea Region, Lithuanian RDI Liaison Office, Baltic University Programme´s calendar & Network News, Baltic Gender Newsletter 2018-3 September, CALIPSOplus. Work of the Baltic Science Network Welfare State Expert Group and its forthcoming publication was briefly introduced by Daria Akhutina to the attendants of the seminar “A labour market for all using resources of longer lives” hosted by the CBSS Secretariat on 31 August 2018. EL-CSID Working Paper 19 “Council of the Baltic Sea States: The Role of a Sustainable and Prosperous Region in Bringing Science Diplomacy Forward” introduces readers interested in science diplomacy to Baltic Science Network. The Working Paper is accessible also on the website of the Institute of European Studies of Vrije Universiteit Brussel, OpenAIRE and Zenodo. Baltic Science Network took part in the European Commission´s “EU in My Region” photo contest with two photos taken during the last project partner meeting held in in Sopot and Gdańsk, hosted by the University of Gdańsk. 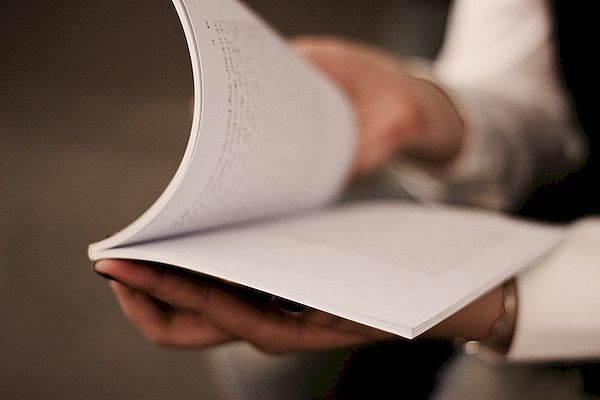 Baltic Science Network engagement in the 9th Annual Forum of the EUSBSR and its latest publications are featured in the Baltic University Programme Newsletter #55 (pp. 10, 13). An overview “CBSS Baltic Sea Science Day 2018 Casts Light on Research Cooperation in the Baltic Sea Region” by Zane Šime offers a brief outline of the most recent CBSS annual gathering to the readers of Northern Notes #49 (p. 17) available here. Header of the newsletter includes a graphic recording by Raquel Benmergui. Copyright © 2017 Baltic Science Network, All rights reserved.